Home / After 46 years Kevin finally gets New Zealand Residency! Kevin Johnston always thought of himself as a kiwi. At 55 years of age, a married man with 4 kiwi kids he had no reason to think otherwise. That suddenly changed, however, when on 05 October 2017 he attended the out-patients department of Tauranga Hospital. Arising from that visit he was presented with a bill because, he was told, that not being a NZ citizen or Permanent Resident he was not eligible to receive publicly funded health care. Kevin came to New Zealand in December 1972 with his parents and siblings when he was just 10 years old. And he’s lived here ever since. He’s been through the school system; Primary, Intermediate and High school. He then started working at around the age of 15 earning money to pay his way and contribute to New Zealand. During his time here, he never considered his immigration position. He of course knew he was born in the UK but he believed that he was a NZ permanent resident because of his parents or because of special arrangements with the UK back in 1972. After slowly recovering from the shocking news from the hospital, he made enquiries with Immigration New Zealand (INZ) and subsequently filed his own application for residency. By letter dated 31 January 2018, however, his application was refused because of legal/technical reasons. 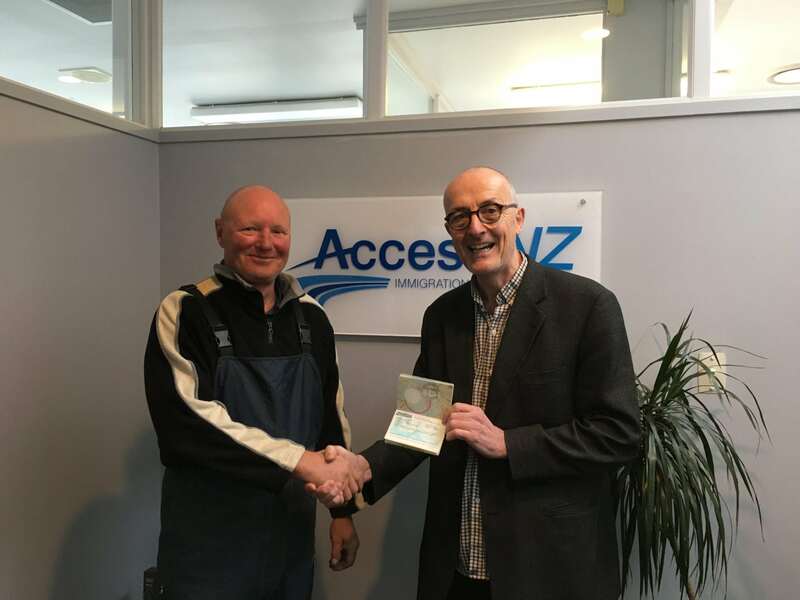 Kevin came to see Access NZs Ned Burke, immigration lawyer, and after months of hard legal graft ultimately resulting in an appeal directly to the Minister of Immigration Kevin was finally made a permanent resident of New Zealand.